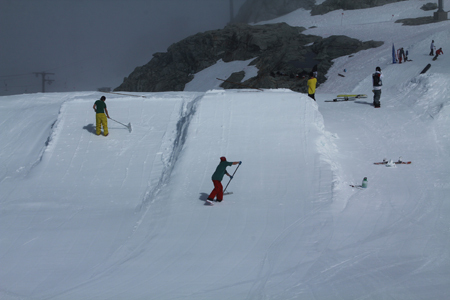 Run by Pro Ride coach Lisa Corcoran, Treeline Summer Snowboard Camp Caters to kids, teens and Adults from Begineer to advanced level. 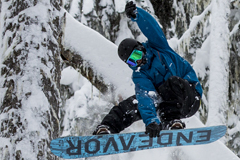 The program is designed for snowboarders who want to improve their skills in any area of riding with some of the most talented coaches in the world. Coaches are international pro-riders and Olympic athletes, fully certified and dedicated to ensuring that each camper gets the most from their time here. 3) Day coaching camps for those with limited time. 4) Pro Pass. 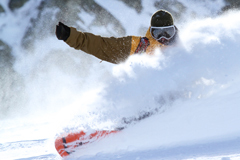 Intended for athletes and provides lift pass access to our world class facility. 5) Group/Team and Pro Club Pass. Bring your team or group! Contact us for special group pricing. Both the pipe and park are maintained daily. 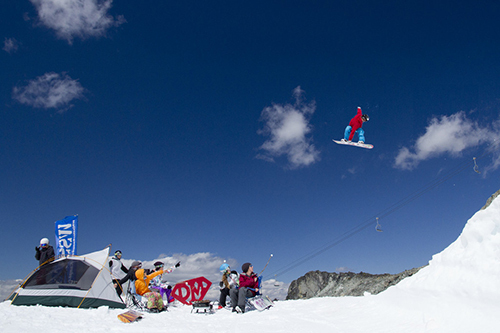 The freestyle program is suitable for Novice to Advanced snowboarders, offering groups from recreational to pro level. WSSC coaches will work on your riding in a safe, relaxed environment. Campers ride in small groups of about 6 based on ability and goals so everyone gets to progress in a attitude-free, non-intimidating atmosphere. No matter what your ability and comfort level, there are people here learning the same things. The on-hill facility is world class with private pipe, race lane, groomed area, terrain park, and lots of other terrain. Camp numbers are limited so the park is never crowded ensuring less time standing around and more time for you to focus on your goals! For intermediate to advanced riders the tables and spines to cater to both levels - tables have two lips and transitions, so you can pick the size suited to your level of riding. Rails range from beginner to advanced, allowing you to take your riding to the next level, step by step. Note: Summer camp will not be running this year. Please check back for future dates.